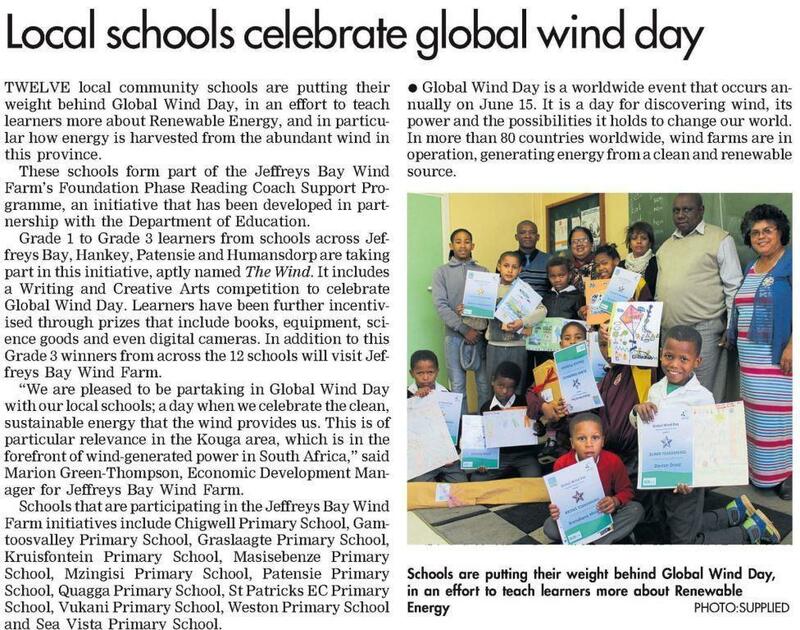 We were extremely proud of some of the primary schools we work with in the Kouga area in the Jeffreys Bay Wind Farm’s Foundation Phase Reading Coach Programme. Foundation Phase learners took part in a creative writing and art competition to mark Global Wind Day on 18 June. The newspaper cutting below shows learners and staff at Patensie Primary School with ITEC staff member, Mr Zukile Ningi. Click on the picture to enlarge it.